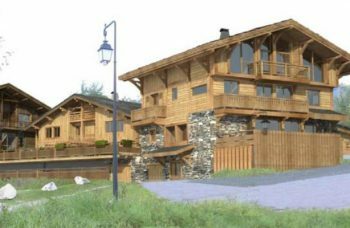 Located a few steps from the old town of Les Gets, this is a new release; small residence of 8 apartments enjoying a privileged location close to shops, bright apartments and open views, fully equipped kitchen and bathroom, ski locker and balconies. Prime rental location. Example Apartment A-08; Located on the Ground & First floor, (Duplex, Ground & First Floor) 79.8m² Surface Area. A choice of two layouts; one with Four Bedrooms, or one with 3 Bedrooms & a larger living / dining room upstairs. Terrace, Balconies & Garden = 541.7m². Stairs down to Three Bedrooms, all with access to Terraces, Two Shower rooms, one with toilet. Sold with a ski locker. 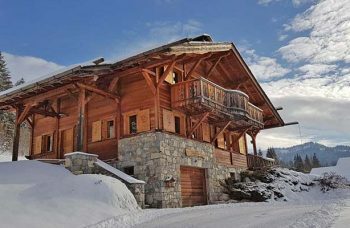 Garage, parking and cellar optional; Garage : €12000, Cave : €5000, Ski locker included in price. Possibility to visit apartments of identical finishes in the latest development built by the same of the developer. Reduced notary fees and eligible for VAT recovery. 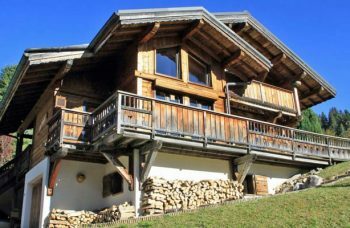 An excellent new release close to the Mont Chery telecabine and the old town of Les Gets. High end finishes. Prime rental location and investment.